Here’s what you’ll find at Darien Library this week: Teens learn cookie decorating skills; classes on Adobe Photoshop, coding and geneology; a history lecture; movies; and more. — This article republishes information from “This Week at Darien Library,” the library’s newsletter of events (you can see this edition here). You can subscribe to it on the library website. What happens to plastic when it meets the ocean? In the next four weeks, we’ll screen a series of films and host discussions about societal impacts on the environment. 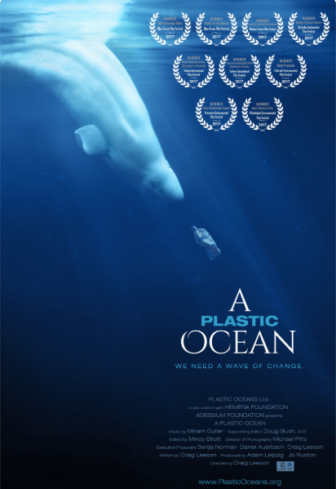 First up is “A Plastic Ocean” on Wednesday, Oct. 3 at 7 p.m. Join us for the conversation. Make sure to register by clicking the titles. Tuesday, Oct. 2 at 4 p.m.
Tuesday, Oct. 2 at 6:30 p.m.
Tuesday, Oct. 2 at 7:30 p.m.
Wednesday, Oct. 3 at 5 p.m.
Monday, Oct. 1 at 3 p.m.
Tuesday, Oct. 2 from 12 noon to 1:30 p.m.
Tuesday, Oct. 2 at 3 p.m.
Wednesday, Oct. 3 at 1 p.m.
Thursday, Oct. 4 at 2 p.m.
Friday, Oct. 5 at 6:30 or 8:30 p.m.
Saturday, 10/6 at 2 p.m.
Wednesday, Oct. 3 at 9:30 a.m.
Wednesday, Oct. 3 at 3:30 p.m.
Thursday, Oct. 4 at 9:30 a.m.
Friday, Oct. 5 at 3:30 p.m.
Saturday, Oct. 6 at 11 a.m. The Darien Board of Education is looking for feedback on the qualities they should seek in a new Superintendent. Pick up a paper survey from our front desk or fill out the survey online. Due date is October 26. A new concert series begins, kids can learn a great organizing practice: bullet journaling, a movie about a current Supreme Court justice and more are coming this week at Darien Library. — This announcement is from the latest Darien Library weekly events newsletter.